Ah, it's a heavenly chorus raining down from the sky. You hear it, don't you? It's the real voices of angels! They're singing songs sweet and true, and it's music to our ears. Literally! But we've heard down the grapevine that they're seeking a new falsetto. Think you might know someone who's up for the task? Of course you do! It's your girl, and not only is she ready to sing, she's ready to get suited up in downright heavenly duds. Well, we've got just the thing for that, too! All it's going to take is this Girls Starlight Angel Costume, and she'll be ready to sing. Let's get her suited up! This Girls Starlight Angel Costume comes styled as an angelic dress, complete with wings and a halo accessory. Sheer fabrics with a little bit of silver sparkle give it that "starlight" touch. Whether for a costume, a play, or performance, get her this costume, and she's bound to be eminently heavenly! We're not quite the greatest singers ourselves, so if your girl isn't up for the chorus yet, don't sweat it. 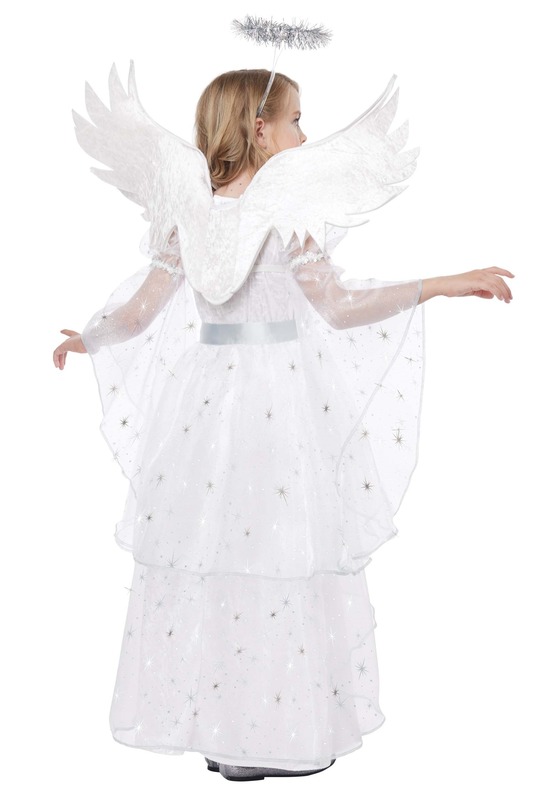 She'll still look fantastic in this angel costume. Maybe she'd feel right at home in a group, and if that's the case, just check out the rest of our costume selection! 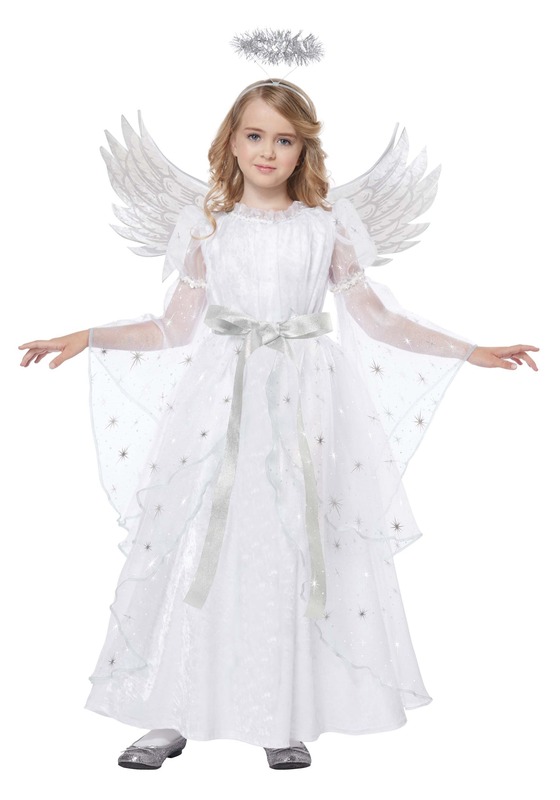 We've got angel costumes in styles and fits for kids of all ages, and of course, adults, too! Get your angel squad together, and we're sure your choir will be quite heavenly indeed!